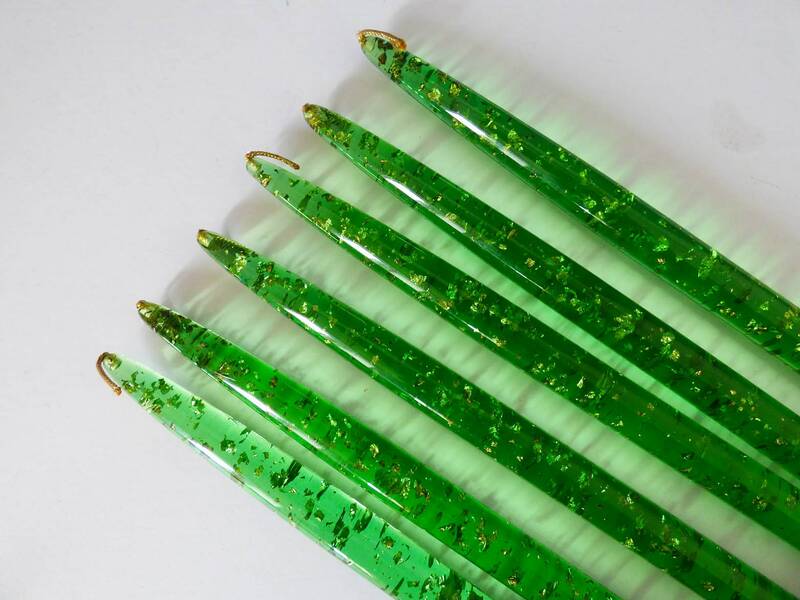 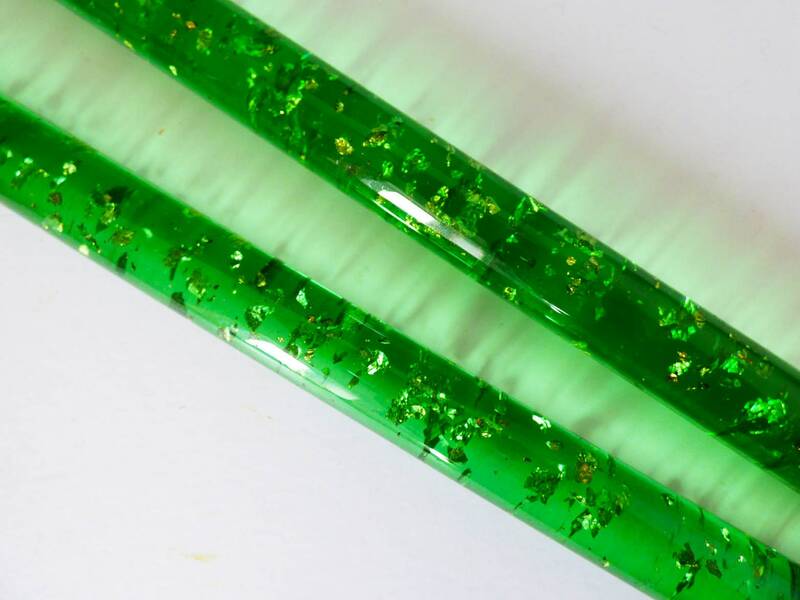 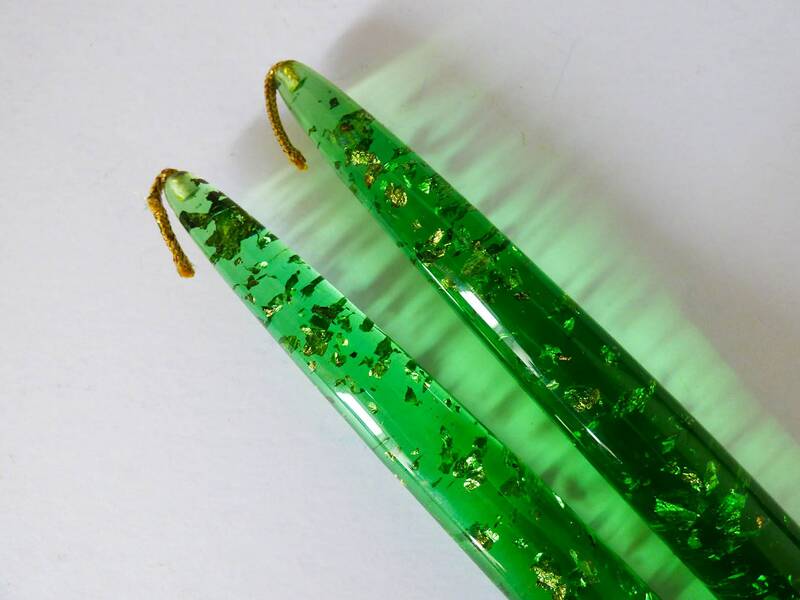 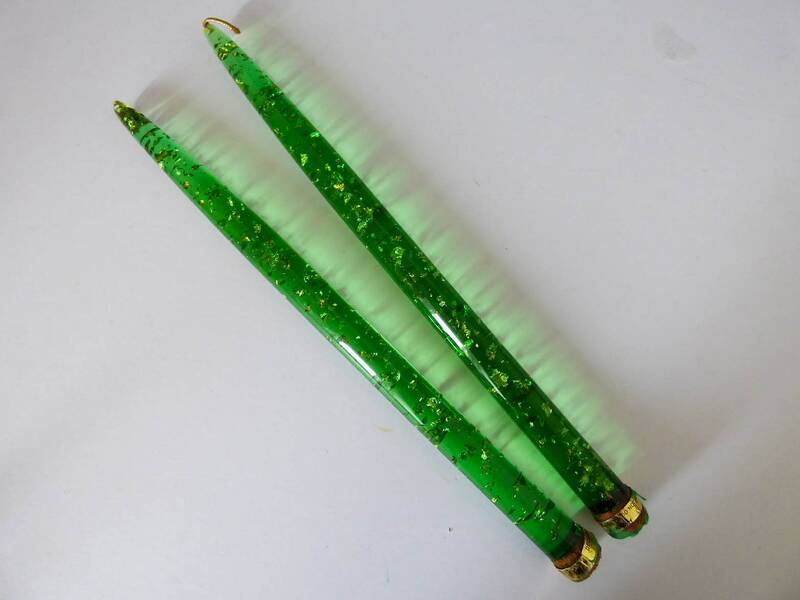 Vintage resin Candles, This listing is for a pair of these resin candles, which are purely for decorative use they do not light as they are created from hard resin which has little flecks of gold leaf inside them, which look beautiful in the light. 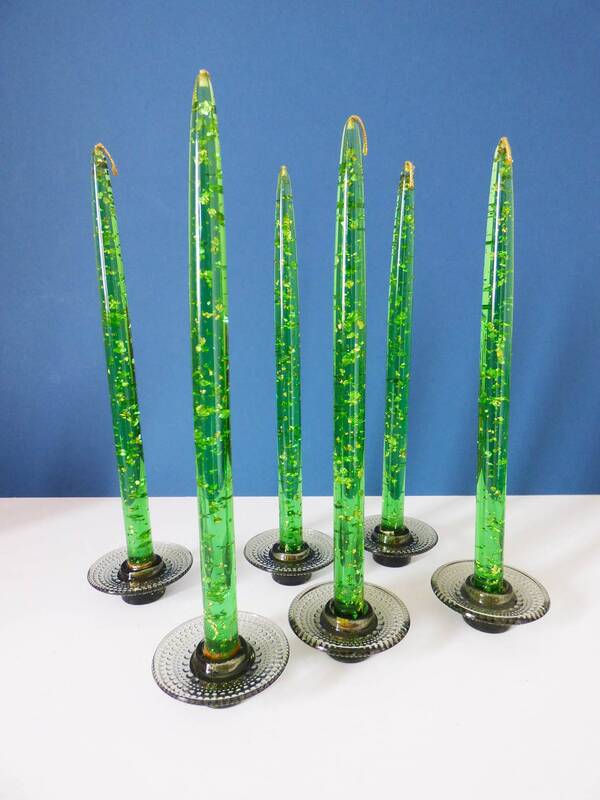 These candles are perfect for when your candlesticks are not being used for real candles, and look wonderful sat in a window or sunny spot where the green can reflect the light, obviously, these candles don't melt. 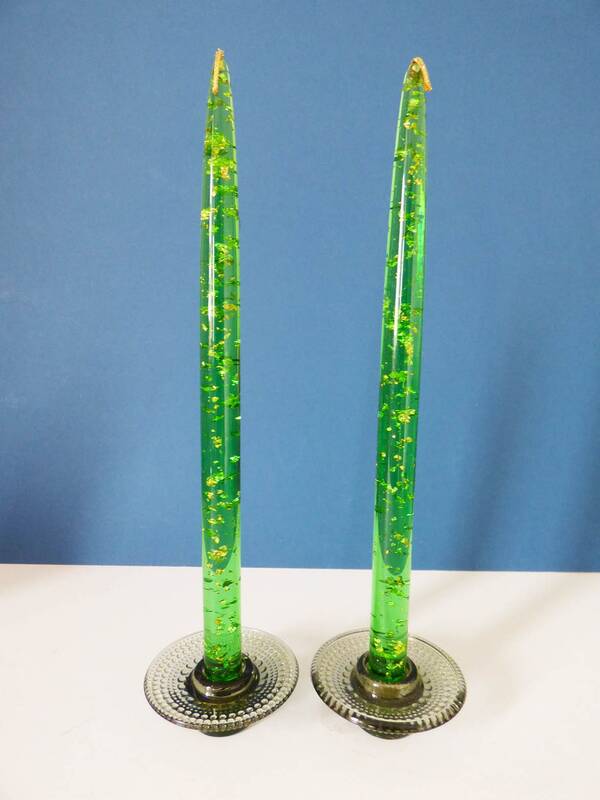 The price is given for a pair (2) candles, but I have 3 pairs available in total. 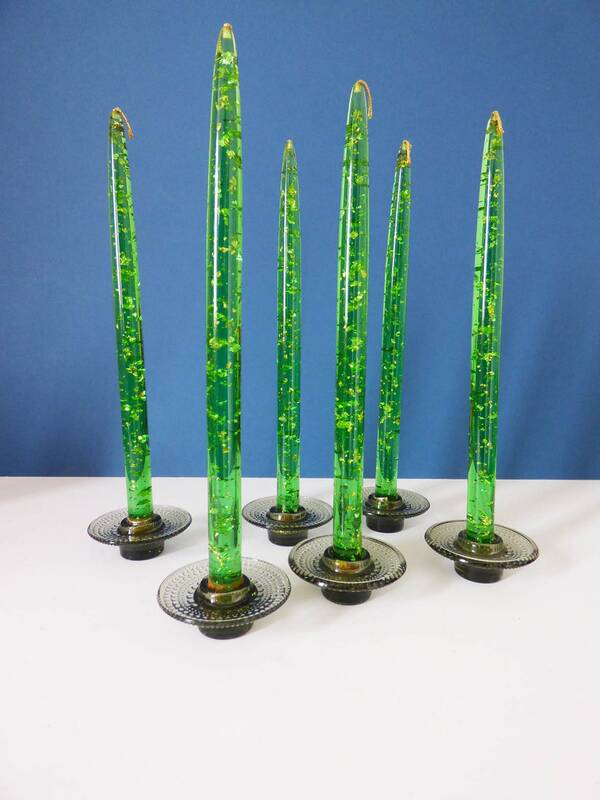 The candles are in great condition, although they do have some brown residue on the bases where a sticker once was, these can easily be cleaned away. 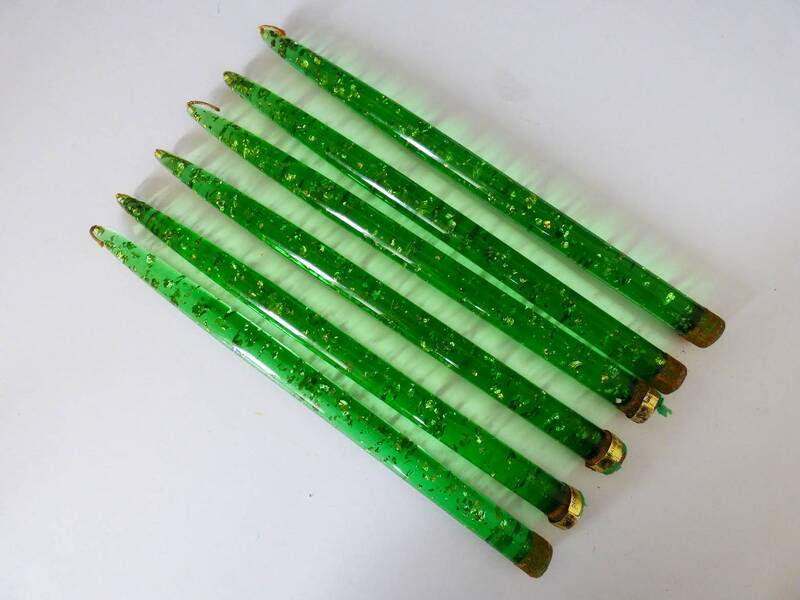 The ones with the stickers still attached read, "Made in America"